Every year, in the weeks leading up to Christmas, Santa Claus and his elves are very busy in the Arctic Circle in Lapland, Finland. Almost 160,000 people from all around the world paid a visit to Santa's village this year. Visitors from Asia top the list of people wanting to come and see Santa before he and his reindeer set off on their around-the-world trip. At the village's busy post office, where visitors can send letters with a special Arctic stamp, the elves sort children's letters to Santa. 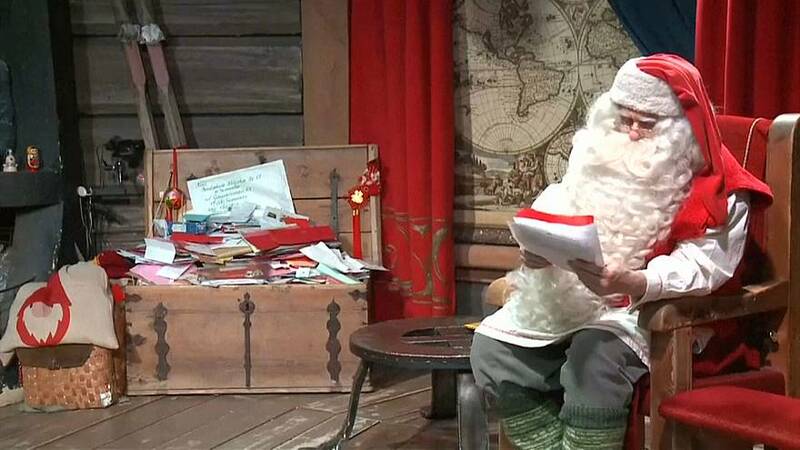 Among the around 500,000 letters Santa received this year, most came from China, followed by Poland and Italy. Santa's message to children around the world is clear: "That you all could spend Christmas together with your families and with your loved ones, and share the compassion and the love of Christmas. I wish you all a Merry Christmas and a very Happy New Year."